The new A4 Servo is the next generation of Panasonic's Minas product line. It sports a fast frequency response of 1KHz, improved real time auto gain tuning, new vibration control features and 2Mpps command input. The size has also been reduced up to 30% compared to our older A-Series, and along with our UL and CE certifications, the A4 Series is also in compliance with SEMI F47 Standard. For any enquiry, feel free to contact us any time. We will do our best help to find your requirements. Packaging Details: 1) Panasonic Original box Packaging 2) As per buyer requirements. 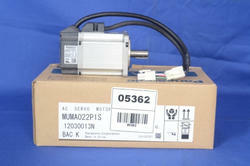 We offer Panasonic servo motor E-series 200W, RPM 3000. 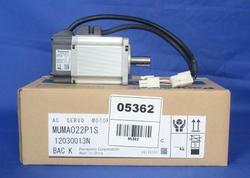 Looking for Panasonic A4 Servo Motors ?